My girls thought these were so funny and can’t wait to use them with their friends. 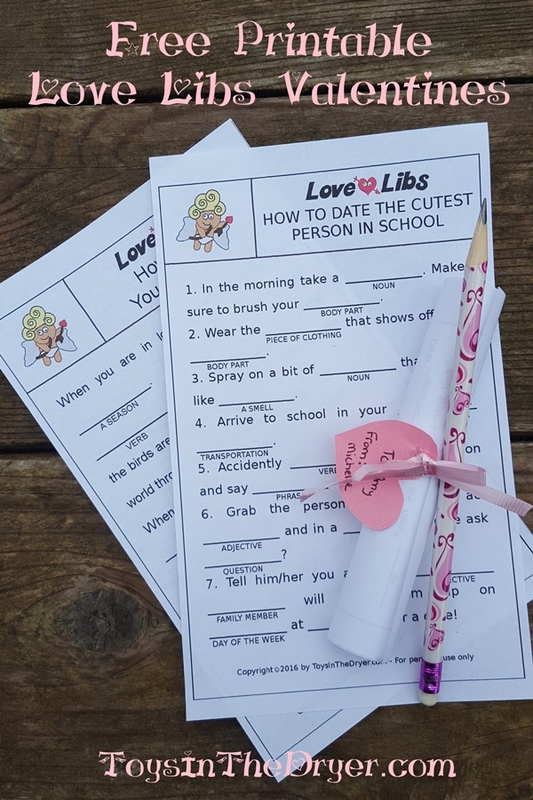 To print your Love Libs Valentines just click on the photos below. They are meant to print on a half-sheet of paper but can be printed full sized too. Roll them up, add a ribbon, a tag, and a pencil and you’ve got a fun and unique Valentine to give to friends!